On May 25th, there will be a New Moon in the sign of Gemini. As a mutable air sign, a New Moon in Gemini represents a quickening of mental activity, where restless thoughts and radical theories excite the mind into a highly impressionable and creative state. This is the plasticity of mind enjoyed by all young children as they learn to speak, write and count. But during Gemini season, a renewed taste of youthful intelligence returns bolstered by the wisdom of your experience. How will you use this window of opportunity for enriching study and potent creativity? New Moons occur when the Sun and Moon merge into one, integrating the masculine/feminine and rational/intuitive polarities within the collective psyche. Astrology recognizes this monthly admixture of luminary influences to be a particularly fertile time to set intentions, begin new projects, and refresh your creative energies. Whatever sign a New Moon falls in offers insight into what energies will be most prominent in the upcoming lunation cycle. Thus, this month, with the New Moon in Gemini, expect to feel a stirring of intelligence that regenerates your appetite for information. If knowledge is power, expect to feel quite power hungry. This year’s New Moon in Gemini is unaspected, meaning that there are no Ptolemaic angles complicating the inherent qualities of this sign. Thus, you can think of this New Moon as being like a solo performer, a singer songwriter for the message of the twins. You will feel the plethora of mental energy as a buzzing stimulation of your hunger for words and ideas. With Gemini’s Mercurial energies unhinged from other planetary influences, a swiftness will overtake your thoughts catalyzing such a flurry of perception and feeling that the experience can best be described by a fast-flowing stream of consciousness. The stream of consciousness is Gemini’s lightning-path towards mystical experience, where disparate images, facts, and ideas blossom into a montage: a mandala of newly connected dots. The best way to comprehend the experience of unadulterated Gemini is to examine the work of an actual Gemini whose words spiral out in a wave of ecstatic intelligence. With his natal Sun, Mercury, and Venus all found in the sign of Gemini, one of the greatest messengers of the sign of the Twins can be found in the folk-rock legend, Bob Dylan. To really hook into the feeling of this particular New Moon in Gemini, let’s take a look at his classic hit, Subterranean Homesick Blues. The song’s lyrics are a surreal stream of consciousness, pulled together by what Dylan called a “chain of flashing images”. Dylan’s chain of flashing images is such a rapid fire of Mercurial wit that the words spill all over each other in a jumbled mess of perplexing humor and wisdom. The song tells a fast motion story filled with warnings to stay smart, keep sharp, and look out. All of these lyrical elements evoke Gemini’s mental acuity and keen observation. As a true messenger of the Twins, Dylan delivered the lines of Subterranean Homesick Blues in two minutes and twenty seconds in a barrage of surreal couplets. The effect is 1960’s Greenwich Village vérité: an amalgam of dust-bowl ballads, Beat Poetry and rock n’ roll. Though in legendary terms this song is remembered as being something totally original in its time, nothing could be further from the truth. It was instead a clever mixture of borrowing from many different pre-existing influences. The title of the song was an allusion to a Langston Hughes poem entitled, Homesick Blues, and Jack Kerouac’s semi-fictional novella, The Subterraneans. The convergence of a great multitude of tastes and styles is Gemini’s forte. In mythology, it may well be remembered that Mercury was not only the messenger god of language but was also the god of thieves. What these myths were trying to impart is that borrowing and theft are inherent to the experience of language. You listen and repeat, give and take. Within language, whether speech or song, one borrows and is borrowed from. Nothing originates in a vacuum. Within any style or a form, (poetry, music, dance etc…) there will be a stark polarity between staunch tradition and innovation. Creation becomes an act of synthesizing these two polarities for the purpose of expressing something unique, no matter how slightly. 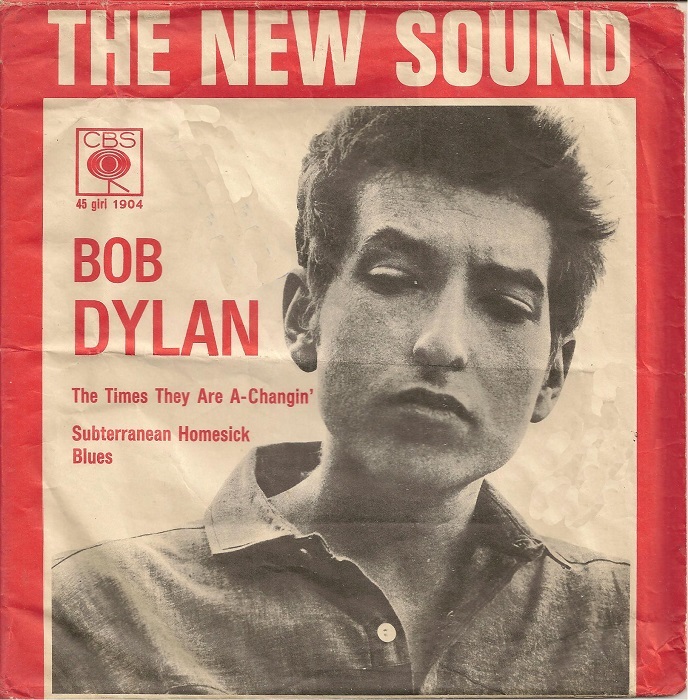 Despite Bob Dylan’s reputation for being wildly innovative in popular music, he would be the first to admit that his music was a medley, a small devotional offering to the poets, singers, and musicians that came before him. His artistic genius was in his ability to synthesize the polarities of the Twins, melding a love of traditional forms with an impulse towards innovation. As this New Moon in Gemini increases your ability to create unique potions of thought, you may want to engage in a deliberate act of creation which will give you a chance to draw from all the influences that move you most deeply. Though there are no planetary aspects to the New Moon, there is a dark influence stirring things up in the background. Venus in Aries will be making an exact square with Pluto in Capricorn. The influence of Venus square Pluto will be predatory towards to any weak aspects present in your love life and/or finances. In other words, any structures built upon a foundation of pretension and manipulation will begin to be dissolve. What is diseased will begin to die. Venus in Aries fights for supremacy and Pluto in Capricorn uncovers the conspiracies and corruption within tradition. Thus, when self-interest and conspiracy clash, there may be some unpleasant experiences afoot. There may be some unexpected changes in status between people as unpleasant secrets are revealed. But it must be remembered that even hard aspects to Pluto act as an ecological force of purification, not senseless destruction. Thus, whatever is well-founded in your life may very well be strengthened by this transit. If the unconscious undercurrent beneath your current situation is healthy, then there is nothing to fear from this transformational energy. At this New Moon in Gemini, set the intention to open up to the stream of consciousness where an unusual freedom of mind can be experienced. Sitting down for a free-write would be a simple way to get into the spirit. But you might also want to begin working on a musical composition or choreographing a dance. Or perhaps you should undertake a new study which will bring you into a new level of understanding the relationship between disciplines. The truth is, there is no limit to the variety of ways in which you can express Gemini’s mental agility and penchant for cross-pollinating ideas. This is a time to embrace true diversity of thought. Let the influence of Gemini increase your tolerance for paradox, letting your mind’s subtle senses be sharpened and stimulated. Open up to the full breadth of the experience of learning, enjoying a newfound flexibility of mind. Whatever you do, consider this New Moon to be a moment to begin assembling a unique blend of the ten thousand things which have influenced you to be the kind of artist and thinker that you are today.